Description: It is a powerful and fast email client based on Mozilla technology. It has lots of great features including quick message search, customizable views, with SMTP, POP3, IMAP4, NNTP and RSS support, spam detector and built-in spell checker. You can also download and add the GPG security system. You can also download Addons to extend it or read this Guide for more info. 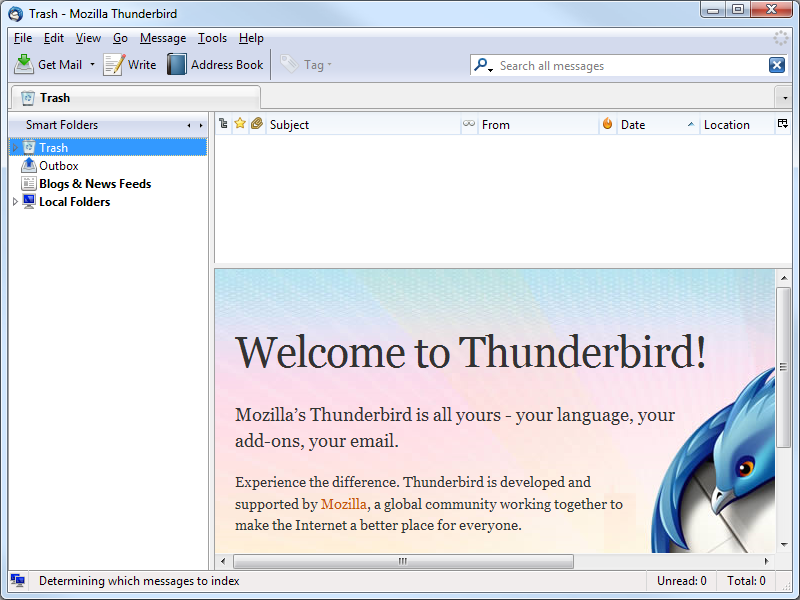 Mozilla®, Thunderbird® and the Thunderbird logo are registered trademarks of the Mozilla Foundation and are used under license.